EMAS INTRODUCED ITS HEATING BOILERS PRODUCED FOR THE FIRST TIME IN TURKEY USING SCOT TECHNOLOGY, AND THE NEW AIR CONDITIONER SERIES. The biannual dealer convention organized by EMAS Makina Sanayi A.Ş. 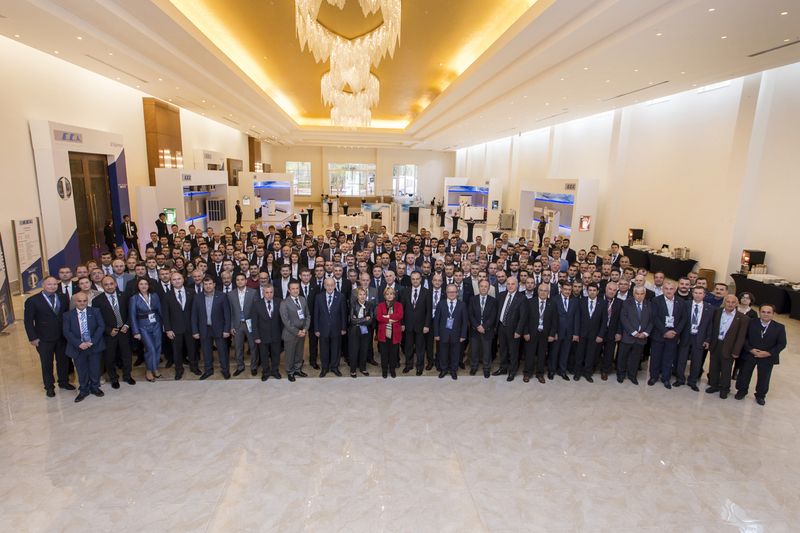 took place at Antalya Kaya Palazzo Golf Resort on December 11-13, 2015. 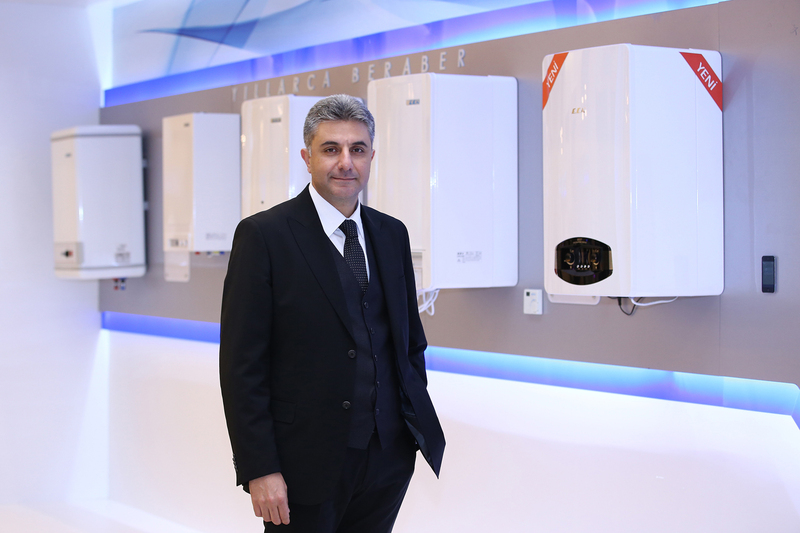 The condensing premix heating boilers that can adapt to various gas types and pressures produced for the first time in Turkey by Emas, including the models in this product range, as well the new air conditioner series were introduced to the dealers. Total 500 guests, including 100 international dealers attended the event. E.C.A., an Elginkan Community company that has been guiding the heating systems industry for more than 30 years, held its biannual dealer convention at Antalya Kaya Palazzo Golf Resort on December 11-13, 2015 with the attendance of 500 local and international dealers. E.C.A. introduced the new addition to its product range, the full condensing heating boilers featuring SCOT - Safety COmbustion Technology – and the new air conditioner series during the two-day dealer convention. Emas, as the producer of Turkey’s first condensing premix heating boilers that can adapt to various gas types and pressures, provided detailed information about the Safety Combustion Technology (SCOT). In addition to learning about the latest developments related to the E.C.A. 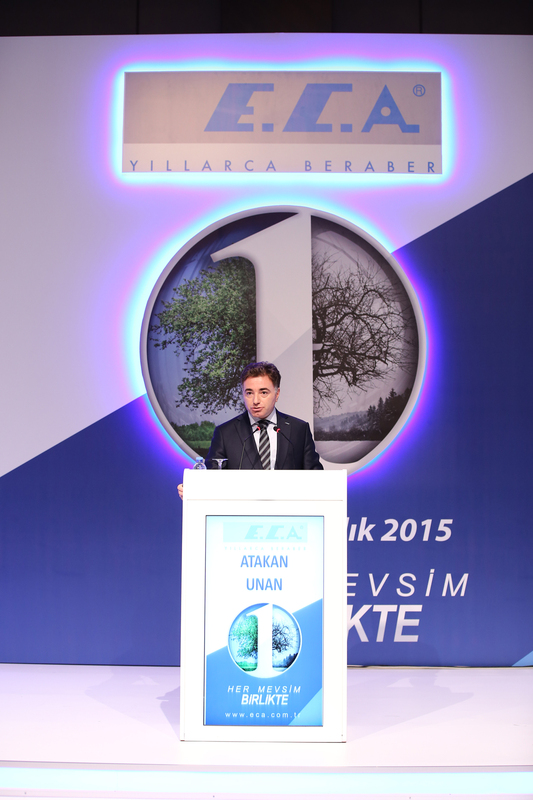 brand and the new products, the local and international dealers also had the opportunity to listen to Prof. Dr. Özgür Demirtaş speak about the economic parameters and expectations for 2016. After lunch, a search conference on the topic of “Creating Value in Change” was held with the participation of Prof. Dr. Acar Baltaş, a leading name who has shown vast audiences across Turkey that psychology can be a solution for people’s needs and the problems in the business world. The search conference, where the concept of modern leadership was discussed, also provided important insights into the new conditions of a changing world, and about ways of adapting to change. The day ended with a dinner where dealers were entertained with performances by artist Demet Tuncer, and singer Melihat Gülses. The Elginkan family, founders of the Elginkan Community, hail from Manisa. The family, bearing the surname Elginkan, is maternally tied with the Sarukhanids through their mother Ümmehan Elginkan, while the family’s paternal roots go back to Ruse, a town close to Shumen, within the borders of present-day Bulgaria, where their father Ahmet Elginkan was born, and the family was known as 'Necipzade of Ruse'. In 1954, the mother Ümmehan Elginkan, with her sons Hüseyin Ekrem Elginkan and Hüseyin Cahit Elginkan decided to institute the Elginkan Foundation, which was finally materialized in 1985 after going through numerous stages. Although instituting foundations and/or being connected to foundations is not a very common practice among established enterprises in Turkey, managing the Community through a Foundation is regarded as an extraordinary practice. The Foundation aims to ensure that the Elginkan Community lives and serves the country eternally. ABOUT EMAS MAKİNA SAN. A.Ş. EMAS Makina Sanayi A.Ş., an ELGINKAN COMMUNITY company, was established in 1985 in Pendik, Istanbul in the Şeyhliköy Industrial Zone. Having started with the production of solid fuel burning cast stoves under the E.C.A. brand name, EMAS A.Ş. went on to produce various products, and began producing natural gas heating boilers in 2004. The need to increase capacity led to moving the production to the new facilities built in the Manisa Organized Industrial Zone. Today Emas A.Ş. carries out sales and marketing activities for the natural gas heating boilers manufactured in the Manisa facilities, as well as the solid fuel burning room heaters, boilers, hermetic water heaters, and thermo-siphons manufactured in the Pendik facilities, plus various heating devices produced by companies both in and out of the Community. The product range includes thermostatic radiator valves for panel and cast iron radiators in particular, water and gas valves, towel radiators, steel and cast central system boilers, burners, condensing high capacity wall type central heating boilers, expansion tanks, solar panels, and natural gas gauges. EMAS A.Ş. is one of the first among Turkish companies to implement the ISO 9001 Quality Assurance System, and has been awarded with a gold medal for being the first to commit to the Consumer Protection Declaration. The numerous accolades that Emas A.Ş. has received include the award for ‘Company Adopting Consumer Satisfaction Principle’ by the Ministry of Industry in 2002, and the “Consumer Award” presented by the Turkish Association for Protection of Consumers in 2004.